Barça takes a game that was evenly matched throughout; Dika Mem led the way wth 8 goals. 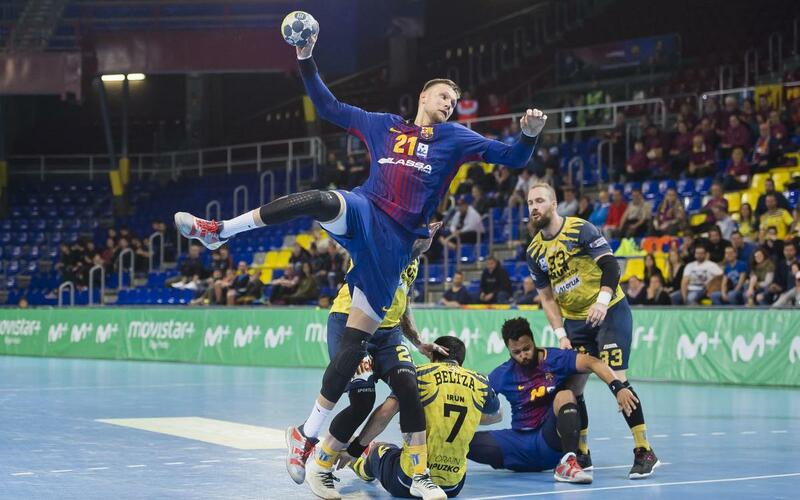 After wrapping up the ASOBAL League title on the road at Cuenca in their last game, FC Barcelona Lassa came back home to the Palau Blaugrana to celebrate it — and play another match, this time against Irún. And what a way to celebrate the title it was. Barça and Irún went toe-to-toe for 60 minutes in a game that was as evenly matched as any the Catalans had played all season. In the end, Xavi Pascual’s team pulled out a 29–26 win. Dika Mem led Barça with 8 goals, while Syprzak chipped in with 5. Barça’s next game comes this Friday when they host Granollers at the Palau Blaugrana in ASOBAL Week 26. The game starts at 8.30pm CET.